We are locally owned and operated bringing years of combined experience in the industry offering the very best in service, expert advice, installation and top product lines. From our initial meeting to the press of a single button on your new system, our entire process is tailored to fit your specific needs. We work with you closely to learn about your specific needs and expectations. We discuss the different variety of systems and possibilities that offer the latest in technology. Once you decide on your system, we take care of the rest. Leaving you free to sit back and enjoy. 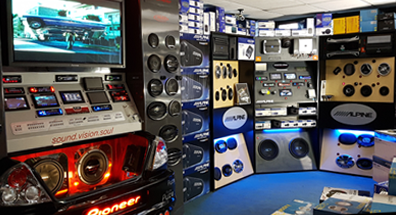 Mad Soundz stock a wide range of Car Audio and Multimedia DVD products from all major manufacturers including, Pioneer, Alpine, Kenwood, JBL, Infinity, Focal, Soundstream, Polk and many more. 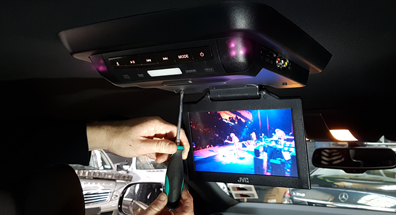 Mad Soundz provide unmatched installation services to all of their customers. Whatever you need installed; we have the right people to do it professionally. We are ready to advise you about the best possible solution for your vehicle. Our doors are open 6 days a week, from 8:30am till 5:30pm as well as on Saturdays from 10:00am till 2:00pm. 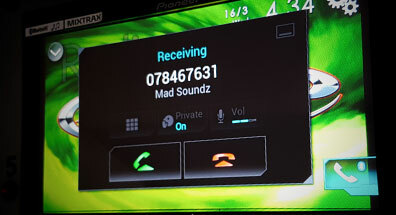 We are also available via the phone for all your mobile car audio needs.